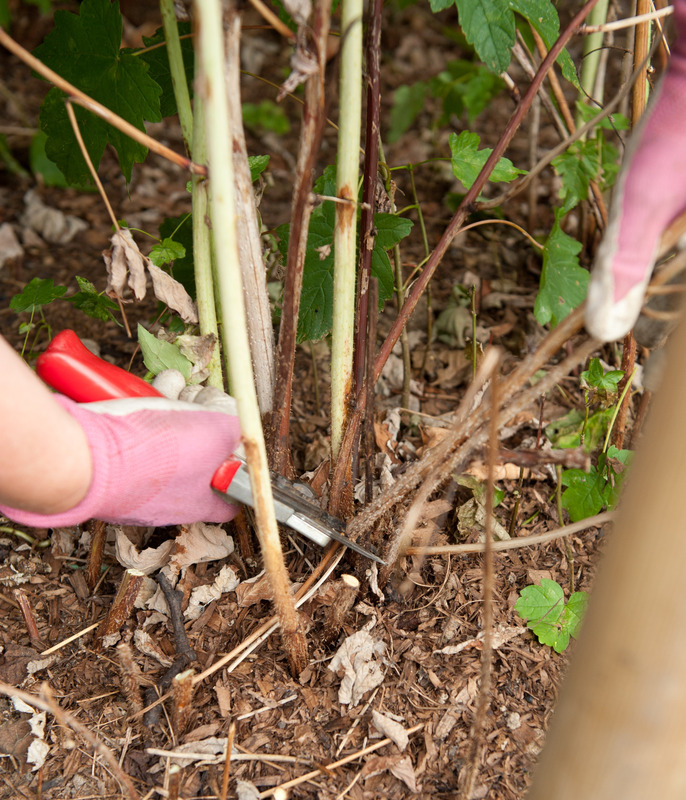 Once your summer fruiting raspberry canes have finished fruiting this year, cut back only the old canes that the fruit was on to ground level, leaving the newer canes (maximum 6-8 new stems per plant) to grow for next year’s fruit. The fruited canes and new canes will look quite different: the old stems will be more brittle at the bottom and brown and woody, whereas the new canes will be more supple and a fresher green colour. Cut the old stems from the supports as you cut them away at the base and tie in the new stems in their place. If you have new canes that are growing further away from the supports, dig these out and plant elsewhere or give to friends! 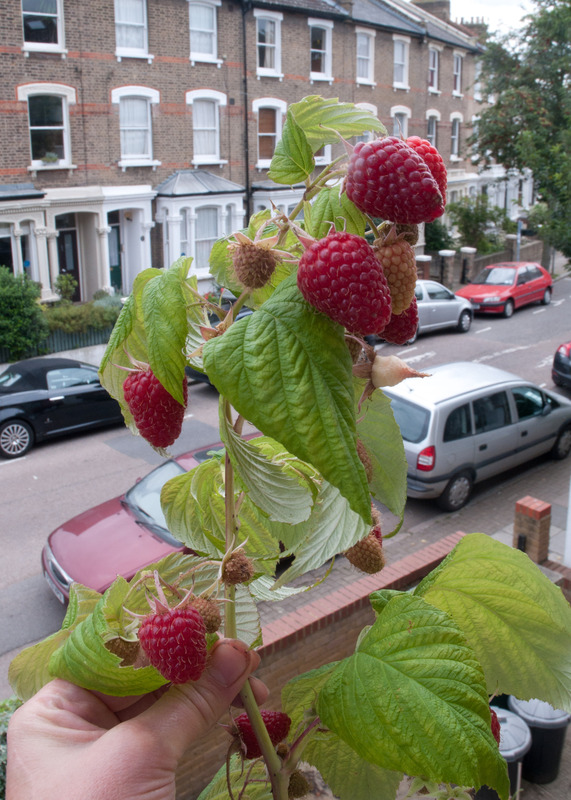 If your raspberry canes haven’t fruited this year, pruning all of the summer fruiting canes either in summer after fruiting or in spring, is probably where your problem lies. You mustn’t prune the newer green canes that grew this year, as these will be the one year old stems that your raspberries will fruit on next year. Hope that makes sense. Don’t prune any canes that grew during this year (and this might be all of your canes if you cut back all of the stems in spring) and you’ll have fruit next year! Autumn raspberries should be happily supplying fruit right now and up until October or November. These canes can be pruned in February.